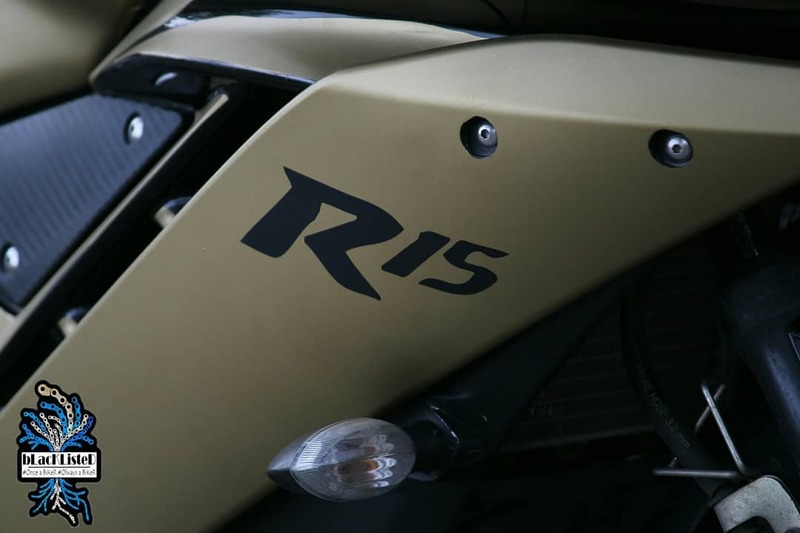 Custom bike wraps with a touch of authenticity are something that every bike enthusiast usually appreciates. 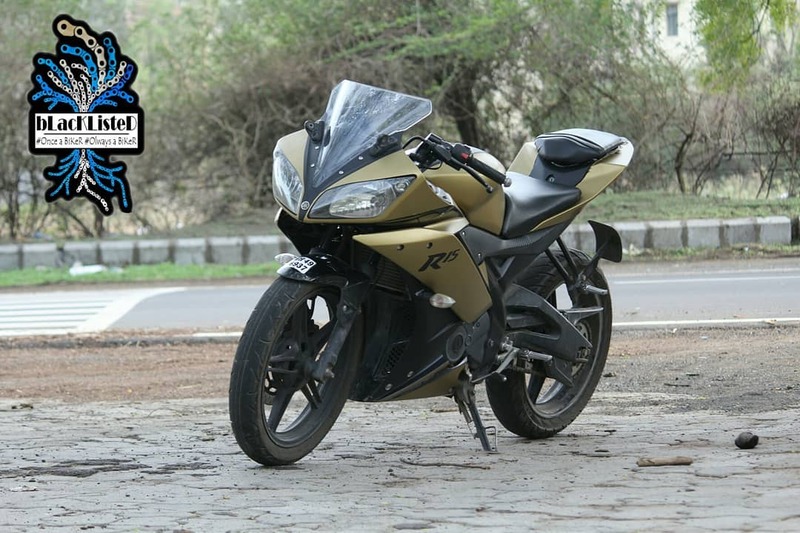 Such are the bike wraps, stickers, badges and key chains offered by Blacklisted Nagpur, an automobile customization and modification company in Nagpur. 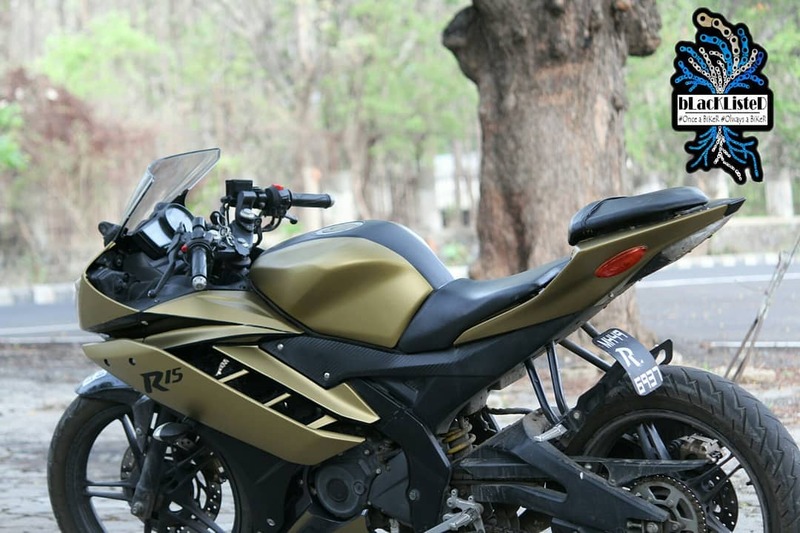 They have recently wrapped a YZF-R15 V2 with a stunning matte golden and matte black shades that shrieks of authenticity and looks absolute gallant. 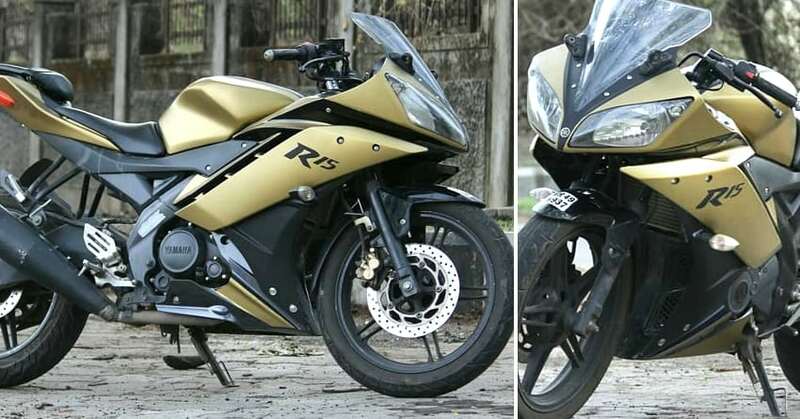 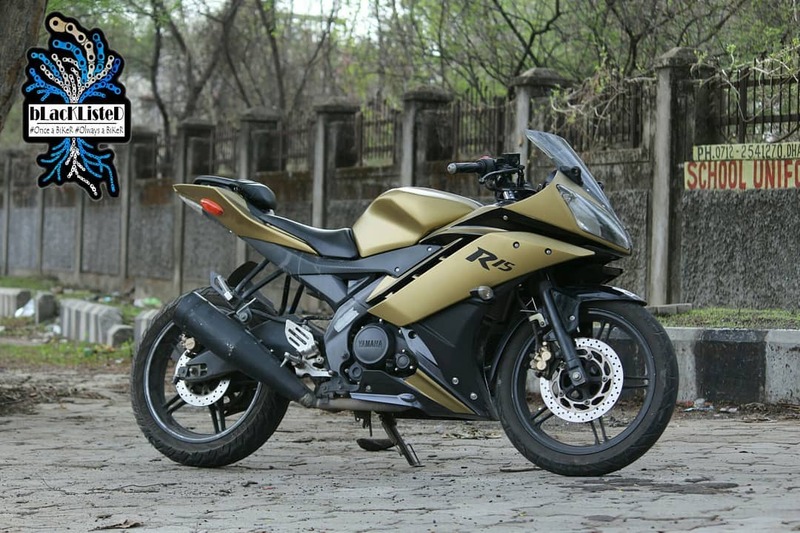 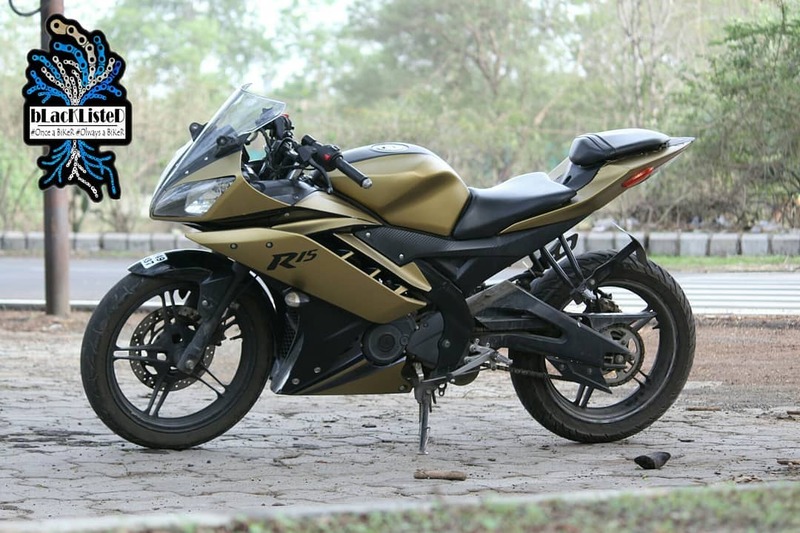 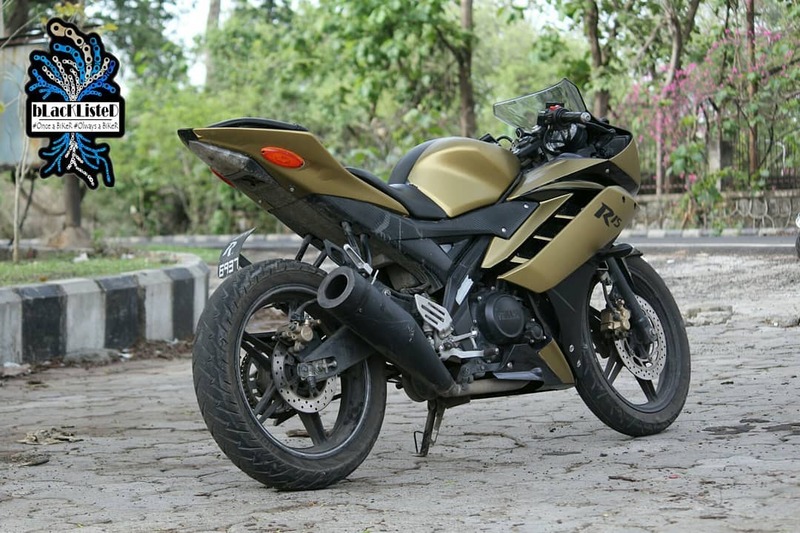 The fairing across the headlights and the fuel tank gets a subtle matte golden shade which goes all along the rear while the side fairings gets an authentic R15 sticker mounted on it for an overall tenuous look. 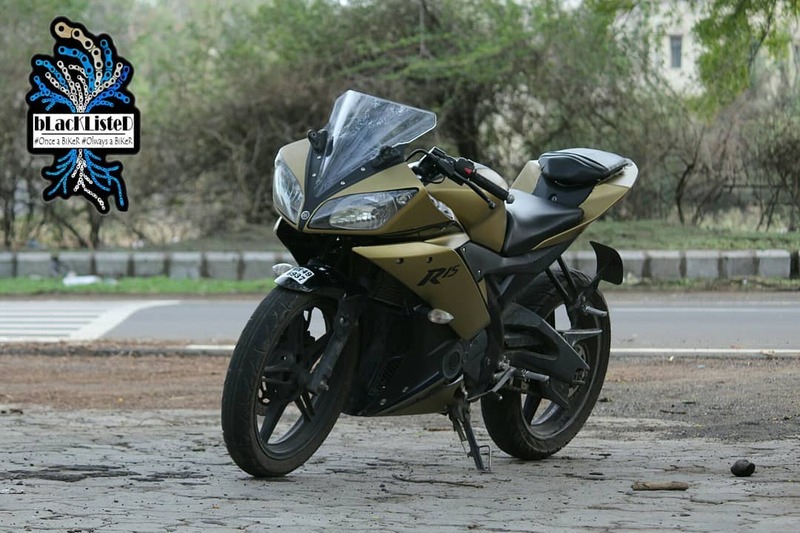 Mechanically there are no tweaks made to the engine. 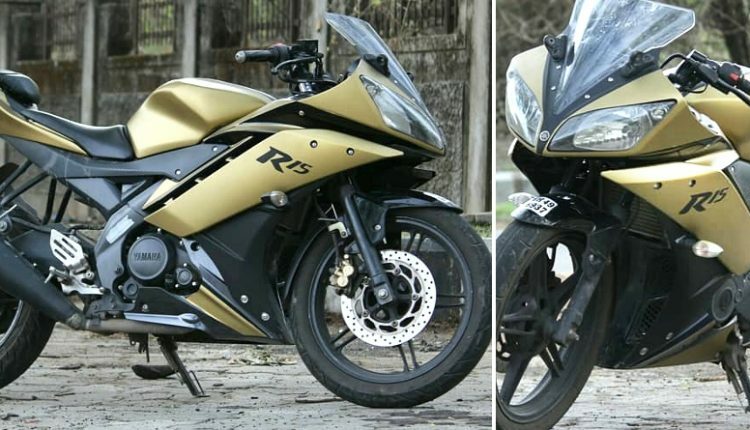 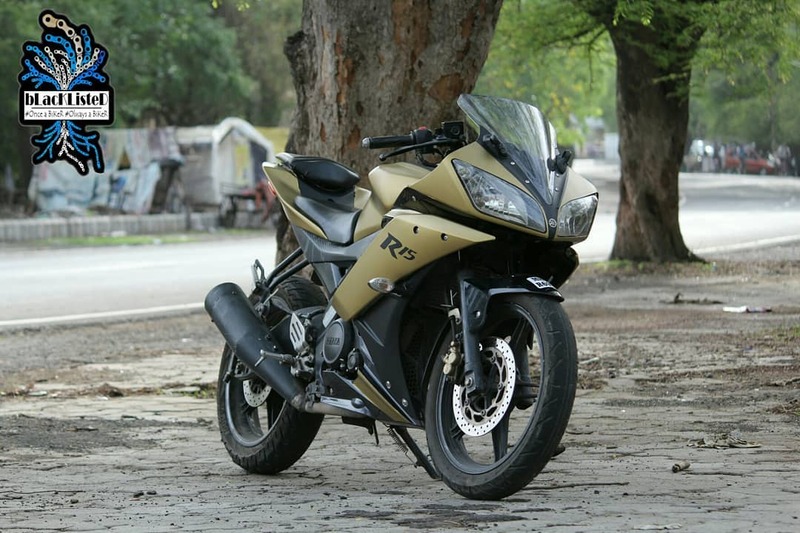 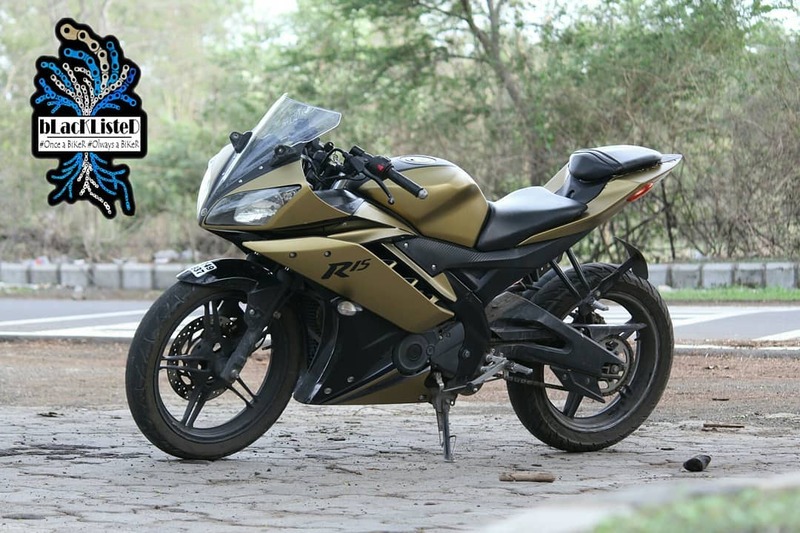 The R15 V2 is powered by 149.8 cc, Liquid-cooled, 4-stroke, SOHC, 4-valve engine capable enough of producing a maximum power of 17 HP @ 8500 rpm and an utmost torque of 15 Nm @ 7500 rpm. 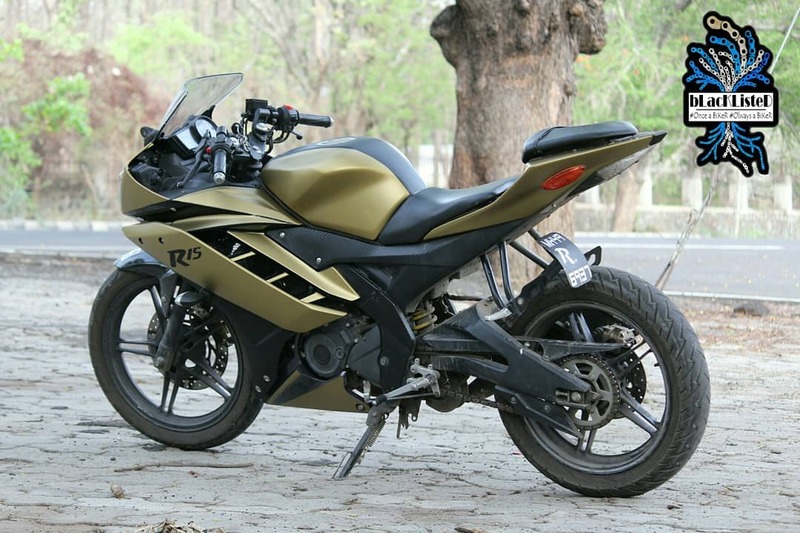 The engine is mated to a 6 speed gearbox.